David Roberts, lecturer in the Defence Studies Department at King’s College London, based at the Joaan Bin Jassim Staff College in Qatar, offers expert insight into the recent tensions among the major GCC states. “I love all the countries of the Gulf, and they all love me.” With this less than subtle statement, Yusuf al-Qaradawi, the vocal Qatar-based Muslim Brotherhood scholar tried to do his part to repair regional relations in the Gulf that have badly frayed in recent weeks. Long-brewing discontent erupted in early March with the unprecedented withdrawal of the Saudi, Emirati, and Bahraini ambassadors from Qatar. Subsequent mediation from Kuwait’s Emir has led the protagonists to the cusp of a modus vivendi, and a vague document has been agreed upon. In March of this year, Qatari representatives facilitated the release of thirteen Greek Orthodox nuns held in Syria since in December 2012 with – according to some reports – a ransom of $67 million. From the Saudi perspective this was a clear example of Qatar adversely intervening in the conflict and further fermenting a petri dish in which jihadi groups grow, prosper, and strengthen. Saudi authorities also see Qatar fermenting similar problems in Saudi’s own backyard in Yemen where Doha stands accused of channeling its support through the Muslim Brotherhood-affiliated Al Islah party. Given that Saudi Arabia and the UAE have recently labeled the Muslim Brotherhood a terrorist group, there is no turning back the clock; their antipathy is now institutionalized state policy. In the aftermath of the ambassadorial withdrawal, dozens of Qataris changed their Twitter profile pictures to photos of the Emir. Qataris - even those who do not support the Brotherhood – were clearly signaling that they would not be bullied into changing their policy. So while Qatar could theoretically change tack and join the bandwagon, such an about-face would be seen as a capitulation and would be received poorly back in Doha. Also, aside from the legacy of the policy toward the Brotherhood in Qatar, if there has been a central theme in the country’s foreign policy in the last twenty-five years it has been one of unambiguously asserting Qatar’s independence from Saudi Arabia. Reasonable accommodation has been made in the past, such as in 2008 when Qatar controlled to a greater degree Al Jazeera coverage of Saudi Arabia to ensure the return of the Saudi ambassador to Doha after a six year absence, but the current proposals seek strategic change. Part of the mooted accord attempting to resolve this latest crisis hints that once more Al Jazeera’s coverage might be on the table and Qaradawi is, for the time being at least, cooperating by toning down his rhetoric. 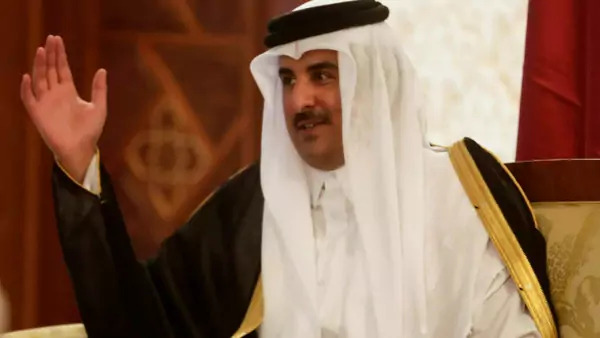 But without precisely the kind of meaningful change that Qatar cannot undertake, relations seem set for an extended cold snap, punctuated by personally-led spurts of anger, potentially peripatetically lurching relations from one mini-crisis to the next.